Guatemala’s fight against transnational threats is unprecedented in the region, he continued. In the last two years, Guatemalan security forces, in collaboration with state agencies in the United States, seized more than 471 million poppy plants, with a value of $1.4 billion, and seized 34,000 kilos of cocaine, and 400 per cent more heroin than in previous years. This meant it seized more drugs in the last two years than in the last eight years combined. 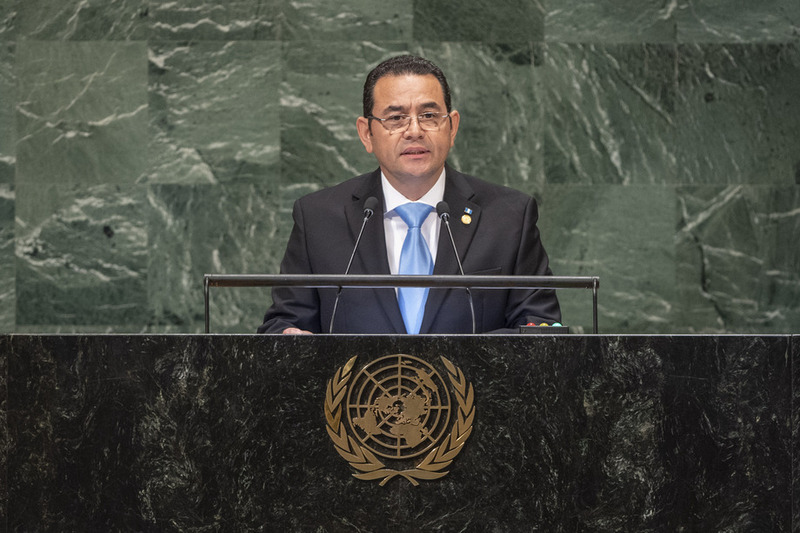 Guatemala has made significant progress in combating corruption and improving transparency. Its initiative and open Government mechanism has now moved to the third national action plan 2016‑2018. Guatemala worked hard to meet the international standards of tax transparency and ratified a convention, which moves Guatemala out of the list of countries considered as tax havens.